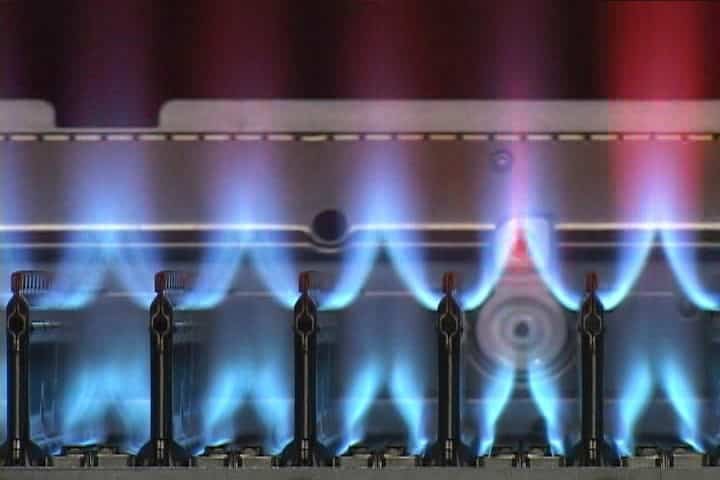 Tankless heaters burn like a fire breathing dragon. The answer isn’t a simple one. In the right situations a tankless water heater is an unbeatable way to give you more hot water than you ever imagined. For others it can simply be a really expensive way to save a little money on your utility bills. Many tankless options have significant drawbacks and it is important to be fully aware of them before you make any decisions. If you want to know if a tankless water heater is a good fit for your household, read on, and if you still have questions give us a call. My family loves having a tankless water heater. I have two young girls and as they become teenagers we will all be grateful for the endless hot water they provide. Some of the issues described below have been mitigated by advances in the technology but models which do not benefit from them can still be a concern. Tankless water heaters are extremely efficient. They save money by only turning on when you call for hot water. I think of them like a fire breathing dragon that can instantaneously heat the water to your designated temperature. As the water passes through the dragon’s mouth it can be raised by 50°F or more. They use almost seven times the amount of gas that a tank style water heater does when they are running. The savings comes from the fact that they only run when called upon. A traditional tank water heater keeps the water hot in the anticipation that you might need it. So when you don’t use it for 10 hours, and the water cools down, it goes ahead and fires up to keep that water hot and at the ready. This is why tankless water heaters can save on energy costs. A Consumer Reports test found that tankless water heaters were 22 percent more energy efficient, on average, than their gas-fired storage-tank counterparts. That translates into a savings of around $70 to $80 per year, based on 2008 national energy costs. Efficiency doesn’t really equate to saving any money with tankless water heaters because they cost so much more on the front end. 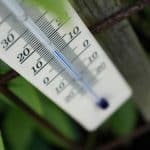 You might lower your carbon footprint, but you aren’t really netting any significant monetary savings over the life of the unit. They really do give you endless hot water, and it is the strongest case that can be made for switching to a tankless water heater. If you have three teenage girls, or maybe just one teenage boy who likes someone else’s teenage daughter, you might think these are the greatest plumbing innovation since running water. You can wash a load of clothes, run the dishwasher, fill your garden tub full of steaming hot water, and still enjoy a 60 minute shower. After all that, your spouse can come in and take their own 60 minute shower if they want. Because you have a pet dragon at your disposal the water will remain hot as long as you have gas and water to flowing to it. If you are always running out of hot water a tankless water heater is a great option. Installs can be compact and very clean when done properly. 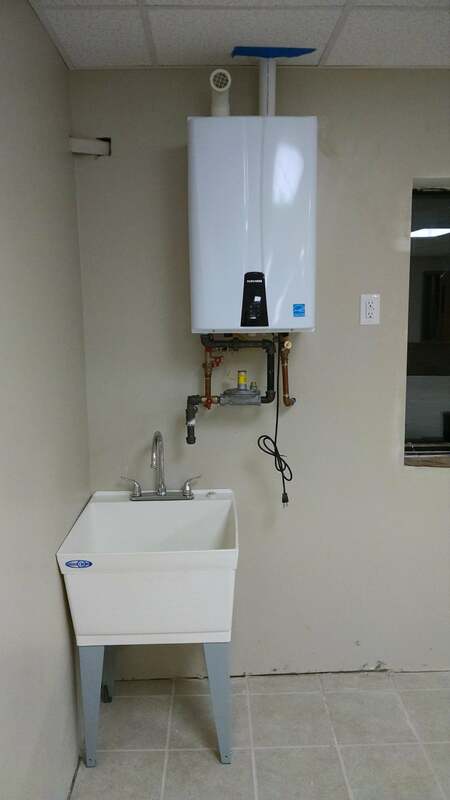 Tankless water heaters are small so they require very little space. Tank type water heaters take up a lot of room. Some builders hide them in an upstairs closet, or worse; in the attic. If someone tries to tell you it is a good idea to put 50+ gallons of hot water above your head, don’t believe them. The attic is a terrible place for a water heater! It saves floor space, but invites disaster. More typically you will find them in a garage or basement. No matter where you put a tank style water heater, it is going to take up space that you might be able to put to better use. A tankless water heater is about the size of the pillow you lay your head on every night. They can be located in a basement, closet, or even outdoors on the side of your house. It is not coincidence that many of the best manufacturers are based in Japan where space is limited. They give you instant hot water! Well kind of yes, but probably no. This is tricky, because expectation falls short of the reality. Many people hear “instant hot water” and think this means a tankless water heater will give them hot water at the tap immediately after turning it on. This is simply false. There are ways to get instant hot water in the real sense, but a tankless water heater is not how you get it. For that you need a recirculation system, and we can tell you all about those in another post. The term “instant” applies in the respect mentioned above under efficiency. They take cold water and “instantly” turn it into hot water. This is important to understand when evaluating if a tankless water heater is going to do what you expect it to. They taste as about as good as they sound. If you like to conserve, and shut the water off and on as you shower, you might experience the dreaded cold water sandwich. This is when your nice hot water suddenly goes cold for a moment and then goes right back to steaming hot. It happens because of the way tankless water heaters operate. When you turn on the hot water, cold water begins to run through the tankless water heater. It detects the flow of water using a flow sensor, figures out how much water you’re asking for, ignites the fire in its belly and heats it with just the right amount of gas, and all is well. However, when you first turn it on, that initial stream of water, the water it uses to detect what you want from it, isn’t hot. If it is humming along it will give you hot water all day long, but as soon as you shut the faucet off, the dragon goes to sleep. When you turn it back on it fires up again, but that shot of cold water still comes through. 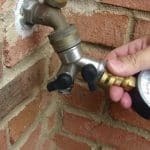 Repeatedly turning the hot water on and off will create these little pockets of cold water and you will hate your plumber forever if he hadn’t warned you about this phenomenon. The cold water sandwich can be eliminated in a few different ways. Some newer models offer a small buffer tank built in. This prevents the cold water blip since it hits a small reservoir already filled with hot water. These tanks also offer a simple recirculating system option. Learning some new habits can avoid the issue, and a good plumber can create a system that will avoid it altogether. Many people consider a tankless water heater because they are concerned about conservation. Some of the newer low flow faucet fixtures will only allow enough water to trigger the flow sensor when they are turned on all the way. If you just want a trickle of hot water, a tankless water heater may not even notice that you are asking for it. This can be a pretty big problem. 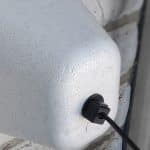 There are ways to use the water that can eliminate this issue, such as turning the water on full blast and turning it down once the water heater is on and flowing. Not everyone finds this adjustment acceptable and it should be noted when evaluating a tankless water heater as an option. Tankless water heaters are expensive, and their installation cost can add thousands to the final investment. This is one of the largest barriers to making the switch. With standard tank style heaters costing less than a third of a tankless replacement, it just isn’t in everyone’s budget. Because you have to feed the dragon, the existing gas pipe is rarely large enough to carry the proper amount of fuel. In some cases the gas meter has to be upgraded in order to deliver the gas required. Many issues and error codes associated with tankless units are the result of an insufficient gas supply. Tankless heaters are often installed in a new location which requires moving the hot and cold water lines as well. Tankless water heaters use stainless steel or PVC piping for venting depending on the models and they must be installed properly. Because a tankless water heater conversion involves so many upgrades or alterations to your existing plumbing, they really aren’t a do-it-yourself project. Currently gas and propane are the only energy sources that can offer a true replacement to a traditional tank style water heater. Electric units can not meet the demand for hot water in typical households. 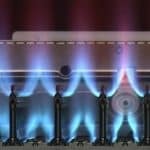 The average electrical service for a home does not have enough capacity to run an electric tankless unit on par with gas and propane units. We simply do not recommend any electric tankless water heaters for primary residences. 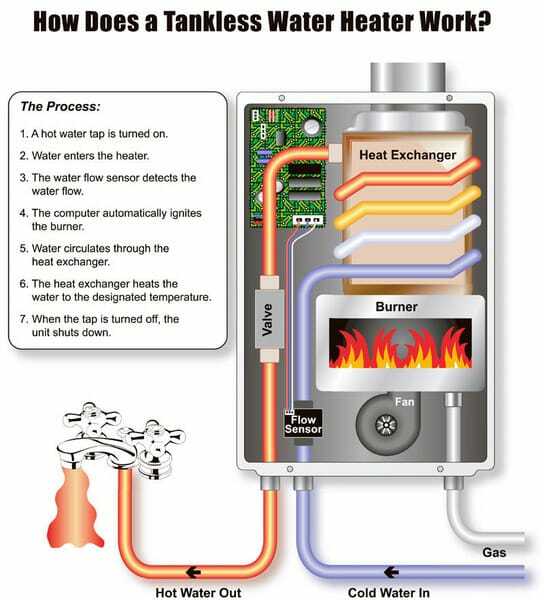 STILL WANT A TANKLESS WATER HEATER? Tankless water heater models vary greatly and picking one that can deliver enough water to multiple things at the same time is crucial. Some models will only let you run a couple of fixtures, like a dishwasher and shower simultaneously. A properly sized unit will let you run everything in your house in almost any combination at the same time without issue. The level of knowledge required to choose and install the right unit is usually best left to a professional plumber and we are always ready to help. If you would like a free consultation to see if you are a good candidate for a tankless water heater installation give us a call. We would love an opportunity to share our knowledge and see if one is right for you.